I am drinking boiled plum for health, but my teeth are colored black on sour, so I am stuffing this product and drinking it. 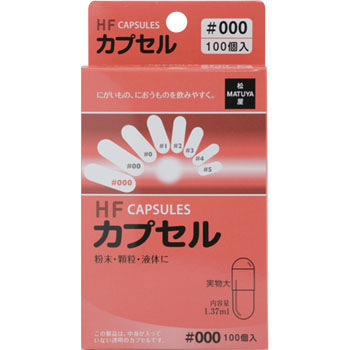 It is easy to use because the capsule is solid. This review is about item#46838671. It is used to make herbal supplements. I packed finely crushed herbs, 0, 1 g. The size of the capsule was exactly right. There is no excess and deficiency, and it entered neatly. It is a size that does not hinder drinking. I think that usability is good for this size. It was saved because delivery was also fast. This review is about item#46838705. I use it when I make pets take medicine. Because it is a pet, it is too big for human use · · · It is useful. This review is about item#46838723. For cats. I refill powdered medicine and use it. I am saved because the size of # 4 · # 5 is just right. This review is about item#46838732.